It's really a privilege to be here. 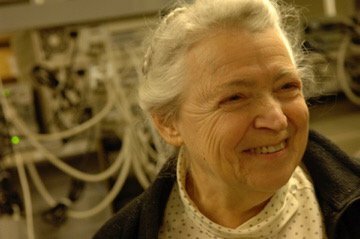 I consider myself so very lucky to be an associate of Millie Dresselhaus, and I'll tell you a little bit of the history of me and Millie in a minute. 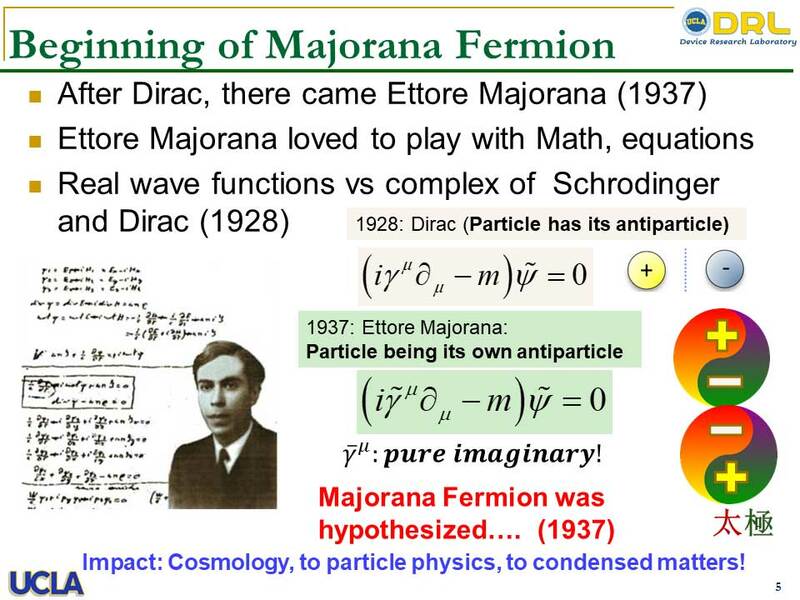 But I wanted to explain why I chose the Majorana fermion as the topic of my talk today. I wanted to give a talk in the spirit of a subject that Millie would be thrilled to learn about. I wanted to talk about something that’s emerging and at the forefront of science. This is the spirit in which I'll give my talk. In addition, I'd like to point out that Millie actually worked on these materials before! Bismuth antimony telluride, which I use in my experiments — this is something Millie also used, although she used it as a good thermoelectric material. Silicon germanium is another one I use. Millie used that, too. She and I and Gang Chen worked on silicon germanium in terms of thermal engineering and different aspects of it. Just to give this talk even more of the spirit of Millie, I would like to give you a piece of inspiration. UCLA has this beautiful fountain, inscribed with a saying by one of China’s great philosophers, Lao Tzu: “A journey of a thousand miles must begin with a single step”. It says that a great teacher paves many steps for a generation of scientists and engineers that lead to thousands and millions of steps of following generations. And that spirit really embodies all that Millie was. 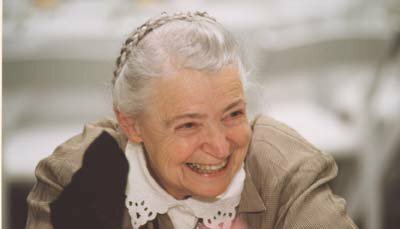 Many of you may not know my association with Millie Dresselhaus. I met Millie a long time ago, all the way back in 1967 — so earlier than any of the three distinguished speakers before me. I knew Gene and the family, too — but a bit later. I did not have a chance to meet Marianne, at the time. I apologize for that. For two years, 1967-68, when I was a student and then became an assistant professor, I had a small office right next to Millie’s. My wife, Edith, remembers that too — she used to visit me all the time and got to know Millie well. You can read one of her memories here. Let me tell you more about that time. So, it turns out that I had two approvals from Millie — although one is after-the-fact. I got married before I met Millie, so although she approved of my marrying Edith, it was a little after-the-fact. But I also had another important approval from Millie, and this one was very dear to my heart, because it pertains to two things very important to both me and Millie: music and family. We often visited Millie and Gene at their house, where they kindly offered us dinner and chamber music. Unfortunately, I did not play an instrument, so I could not participate. But I had two children who did! Playing chamber music at the Dresselhaus household. 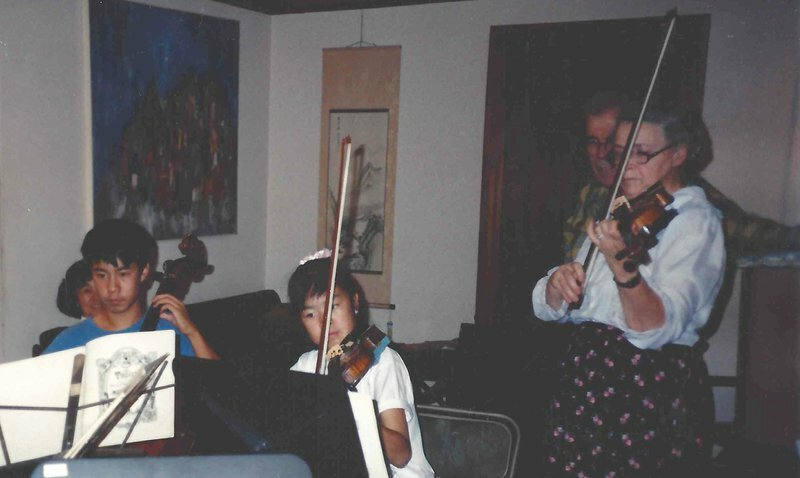 This little girl playing violin at Millie and Gene’s house is Evelyn. Yes, that Evelyn — the same one moderating this session! She’s grown up a little, as you can see. Beside Evelyn is my son, Benjamin. You can see Millie playing over here, with them. Gene is looking on. And peaking over their shoulder is my wife, Edith. 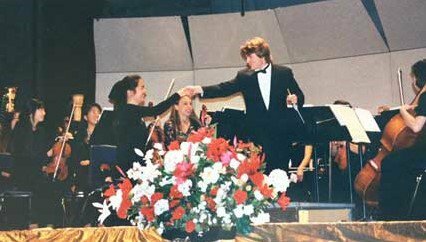 In the end, after that evening with the family playing chamber music, I felt I was promoted, in Millie’s eyes, from being someone she mentored to being one of her collaborators and personal friends. 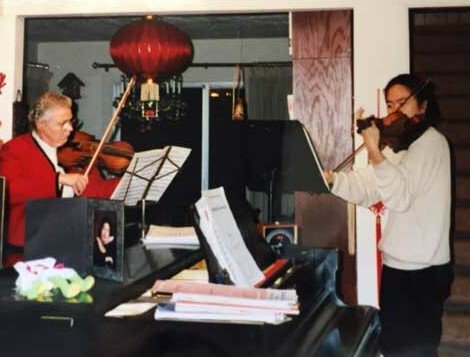 Around 1996 or so, Gang Chen and Millie and I somehow organized a MURI — and we were so lucky to have won that. At that time, Gang and I were in California, while Millie was in Boston, so she had to fly out to the west coast a lot. On one of these trips, she came to our house to play with Evelyn for a second time. 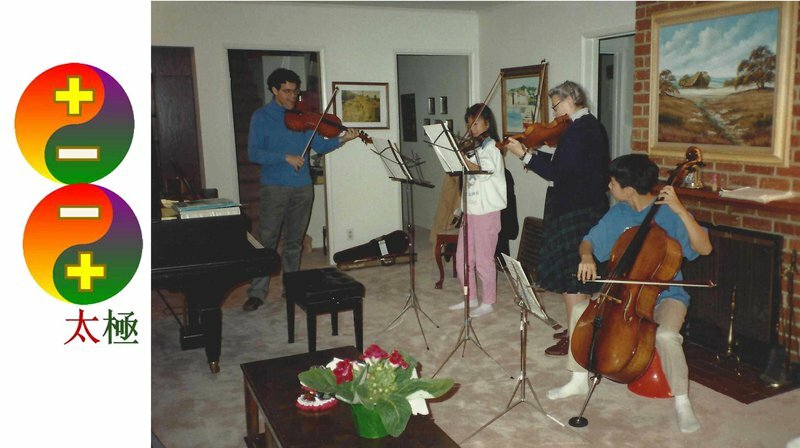 You can see in this picture that Evelyn had grown up a lot by that point — not just in terms of height, but also in terms of musical ability! You remember how, last time she played with Millie, I demanded she practice more and work harder on her violin? Well, she did! She actually became a reasonably good player. She became a concert mistress for her orchestra — which was under the baton of the then L.A. Philharmonic Conductor, Esa-Pekka Salonen. So Millie came over to our house and played with Evelyn and Ben, again. And once the chamber music was over, I took Millie aside and asked her, again, what she thought of Evelyn’s playing. “Well,” Millie said, “she’s professional, now." And I thought — yes! That’s the approval I needed. In my mind, that was one of the best approvals I could ever get from Millie, and I was very proud. So I just wanted to share that with you, before we turned from music to science. I’m going to change the subject, now, and talk about the scientific work that I think Millie would have loved to hear about. But first, I’m going to give you a little background. Let’s start about 90 years ago, with a man named Paul Adrien Maurice Dirac. He tried to reconcile the giant with the miniscule — namely, he tried to unify Einstein’s special relativity with Schrodinger’s equation. In the end, what he did was take the square root of Laplacian. Schrodinger was alive back then, so Dirac went over to see Schrödinger and told him about this square root of Laplacian. Schrödinger admitted that he did not know how to actually do that. Dirac soon discovered that he would have to create some coefficient in order to get the correct solution. This coefficient is what we now know as the algebra of spin. Therefore, Dirac is credited as the discoverer of spin of ½. If you took that from the algebra, it's a perfect fit for the angular momentum of spin. And then, of course, once you have that, you can logic out that you’ve got 2 types of spin — spin up and spin down. That’s positive energy. However, after formulation, Dirac soon discovered — actually, you have two more! You have two negative energy spins, in addition to the positive energy spins. So Dirac thought about this and decided that perhaps the positive energy spins were different from the negative ones because they’d been in something like a hole. So Dirac proposed the concept of holes. As for this concept of having both positive and negative spin energy — well, Heisenberg did not like that at all! Heisenberg went over to him and, in a very nice way — he always tried to be gracious, like Millie — he said, "Well, this could all just be an academic exercise! We don’t know that this really happens. So this might not be a measurement of any significance." A year after that, the positron was discovered. That basically proved Dirac was correct, and put him into the perfect position to say he discovered not only the particle, but also the antiparticle. In fact, Heisenberg and Dirac became very good friends, after that — in spite of their previous interaction. I just wanted to mention that in the spirit of Millie, because you know she always gave people a second chance to become friends. Anyway, the slide above shows Dirac’s equation, which describes the relativistic movement of the wave function of an electron — and which also predicts the electron’s antiparticle, the positron. And once the equation had been proven to be accurate, Heisenberg actually started to analyze some of the implications that this equation had for quantum physics. The implications are very complicated, so I’ll try to simplify. Essentially, this equation in blue created the so-called 4x4 gamma matrix. This is why gamma matrices are sometimes also known as Dirac matrices. Now the gamma matrix is a complex, complex matrix. And what it basically means is that the wave function of an electron must be complex. It cannot be purely real. I should also mention, here, that there are tons of gamma matrices consisting of Pauli matrices — and Pauli matrices are not unique, so you can play with them. Now, 9 years later — a decade or so later — a man name Ettore Majorana comes along. Ettore Majorana was an Italian physicist, age of 30 or so, and he said, "Well, okay, if Dirac can play with the matrix, I can do that, too." So he played with the matrices. And he said, "Okay, this gamma matrix is not unique. So what if I play with it and make it purely imaginary?" Well, take an imaginary number and multiply it by i — and it becomes real! So the wave function is no longer only complex — it can now become real! What does that mean? It means that, in essence, the particle and its antiparticle are wrapped up together. Essentially, the electrons become half positive hole and half negative electrons — and they’re wrapped up together so it becomes a pair. Electrons, now, become essentially a pair of neutral particles which are called Majorana Fermions. A pair! And, of course, positive and negative together looks like a Chinese yin and yang, so I labeled them, here. So for the last 80 years, everybody has been trying to work out whether or not this particle exists. Why? Well, finding out if this particle exists or not will have a profound impact in many different areas — particularly in cosmology (how the universe was created), in particle physics, and in neutrino physics, etc. Recently, there’s been much more interest in finding it, though, because it would also be of incredible importance to the computer industry. I’m talking, of course, about topological quantum computing. Why is the Majorana fermion important to building a quantum computer? Well, normal computers work in binary — seeing if something is a one or a zero — but quantum computers take advantage of quantum uncertainty to allow the computer to run systems like it’s reading both a 1 and 0 at the same time. Instead of choosing one process or another, the computer runs them both, without needing more processing power. Now consider the Majorana fermion, which is both a particle and its antiparticle. It is the particulate equivalent of a 1 and a 0! That seems pretty useful. Quantum computers, over the past 30 years, have suffered from scaling because of swapping and phase decoherence due to σz and σx operations. So that’s very interesting. 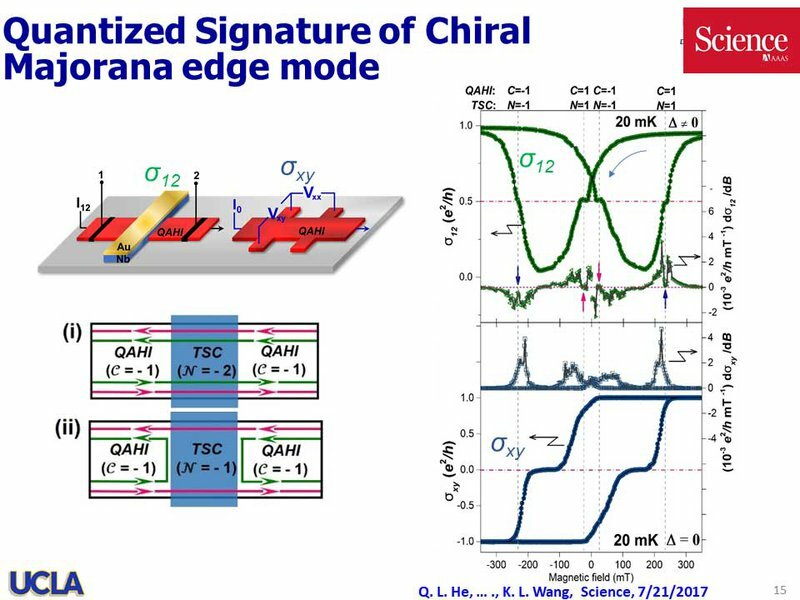 And because of the recent intense interest in quantum computing, there is suddenly a lot of theoretical work going on with regards to Majorana fermions. 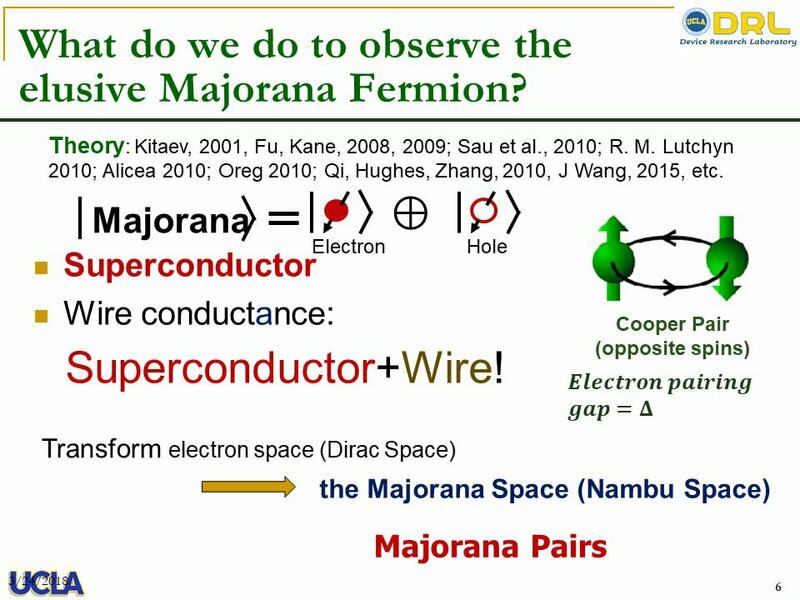 The question is: what could we possibly do to actually observe these elusive Majorana fermions? Because, essentially, a Majorana fermion is an electron and a positron wrapped up together, so they have no charge. That, combined with the fact that it’s the size of an electron, means that it’s very difficult to detect. What many theorists propose — Kitaev and Fu and Kane, for instance — is that if I put this electron together with a chiral superconductor, for example, then due to the Cooper pairing interactions, the superconductor will actually double the electron’s space. How? Well, I start with one unified particle that’s spin up and spin down (for those of you who don’t know quantum physics, every electron has 2 directions of spin), and that makes a 4x4 matrix — but the Cooper pairing energy sort of creates a hole from an electron and essentially breaks an electron into two pairs of Majorana fermions, in which particle and antiparticle are wrapped. So the matrix becomes 8x8 instead of 4x4. So the space doubles due to the interaction of the Cooper pairing energy. 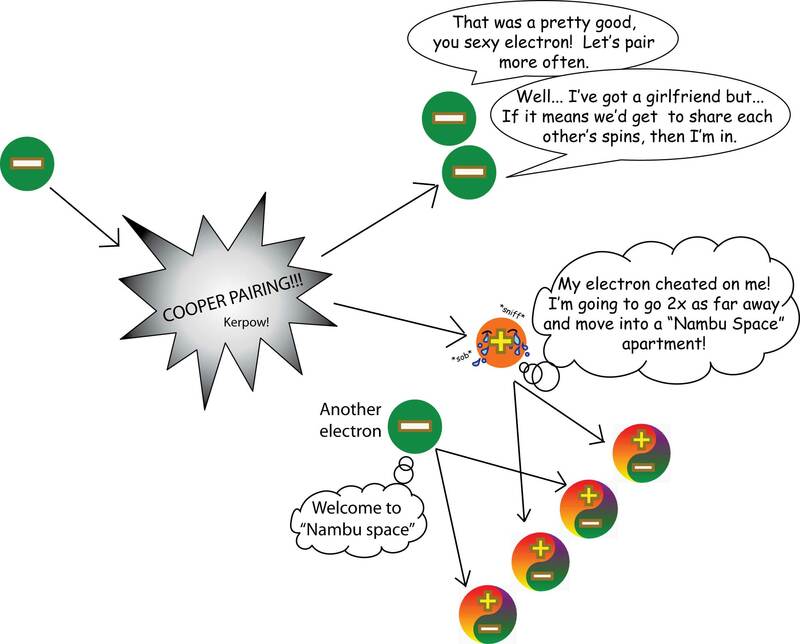 The cartoon above (drawn by Shoshi Dresselhaus-Cooper) illustrates how the electron and the hole are equivalent, when undergoing the Cooper pairing process. Thus, they become two pairs of Majorana fermions. One electron or hole consists of a pair of Majorana fermions. 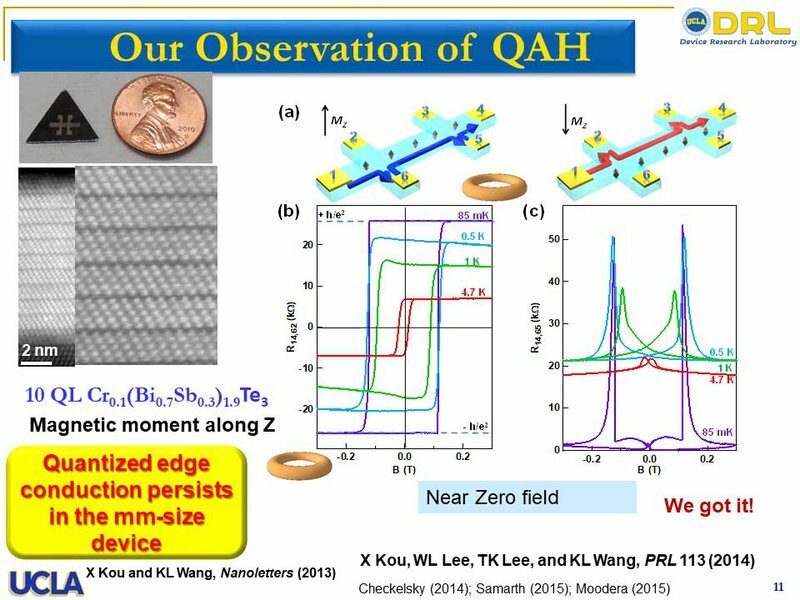 Now, the idea would be attach quantum wires into this whole process, and to allow those to interface with the superconductor we’re using. By doing this, I’m creating this electron’s Dirac space — it’s called Dirac after the physicist we spoke of earlier, by the way — into a so-called Nambu space — which is just a fancy way of saying we’re making the space two times bigger. And that hosts Majorana fermions through pairing energy, which is a fancy way of saying we can throw a party because if we get this, it means we’ve found the Majorana fermion. The particles in a pair are in what we call a “bound state” and the other is called an “unpaired Majorana”. Based on this theory, some experiments were proposed. 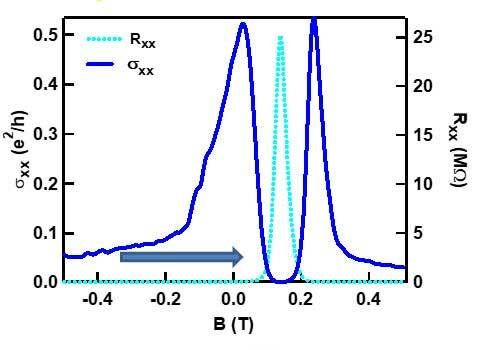 For instance, if I have a superconductor, I could put a wire on top of it and, because of the high spin orbital interaction of this material, it splits into two electron energy levels — for example, in the graph above, you can see the split between the K+ and K- bands. And I’ll apply Zeeman Energy to the field along the wire direction. That helps to split the energy gaps. In this case, if I place my Fermi level directly in the middle of the gap with the pairing energy (Δ), then it’s possible that I can now create this so-called Majorana pair — under certain conditions. I will not go into detail about what conditions, but you can establish them and use this to show it’s possible to create the Nambu space that hosts these Majorana Fermion particles. Experimentalists always have the final word. 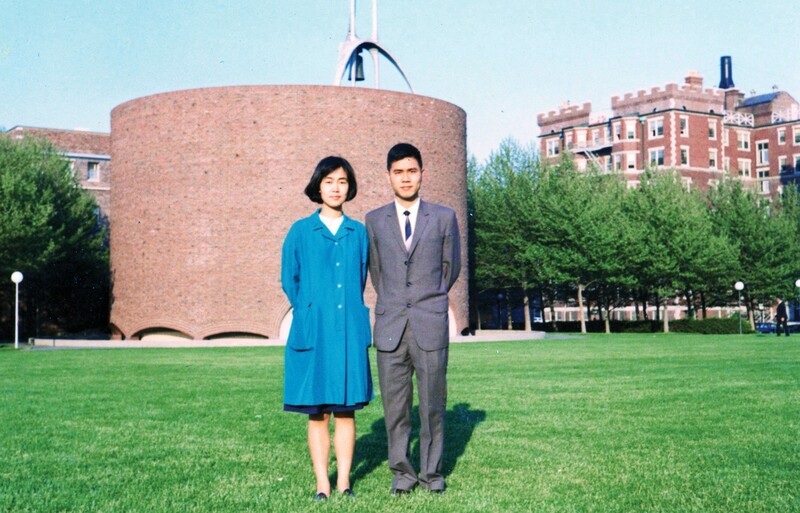 Photo courtesy of MIT. And this makes sense. After all, it’s up to us experimentalists to show whether the things being described in the theory actually happen — or if the theorists are just playing with numbers as an academic exercise. Experimentally, by investigating the tunneling spectra of this Kitaev chain near the ends, one can observe so-called ‘zero-bias anomaly’, which evolves under different magnetic field and electric field with different Fermi level location. The zero-bias anomaly should tell you whether or not there’s a Majorana particle there (in theory). And, as I said, there are a lot of different experimental ideas about how to do this. Some use 1D materials — such as the wire structure that Nai-Chang mentioned, earlier. This was carried out by Kouwenhoven’s group at Delft University. They placed indium arsenide nanowires on top of the semiconductor wires, and then they put it very carefully in the perfect spot to detect the fermions near the end of the setup, and then they used the tunneling transport to measure the current. And, sure enough, there was a peak! That peak is the zero-bias anomaly that the group was looking for. Now, Kouwenhoven’s group were the first, but many other experimentalists soon followed. Oh, and do remember that all the scales on these graphs, here, are arbitrary. Here’s another experiment — this one by Yazdani of Princeton. He proposes that, if you place a chain of iron atoms on top of a superconductor, near the end of the chain, you might — possibly — have two Majorana fermions. And he uses a scanning probe to determine if this is so. Again, you see this Majorana particle has this zero bias peak, right here. And all this arbitrary scale, likewise, in addition to 1D, 2D is also possible. So one of my colleagues, Jin-Feng Jia at Jiao Tong University, ran the experiment using 2D vortexes. And, sure enough, he showed the same peak, again! 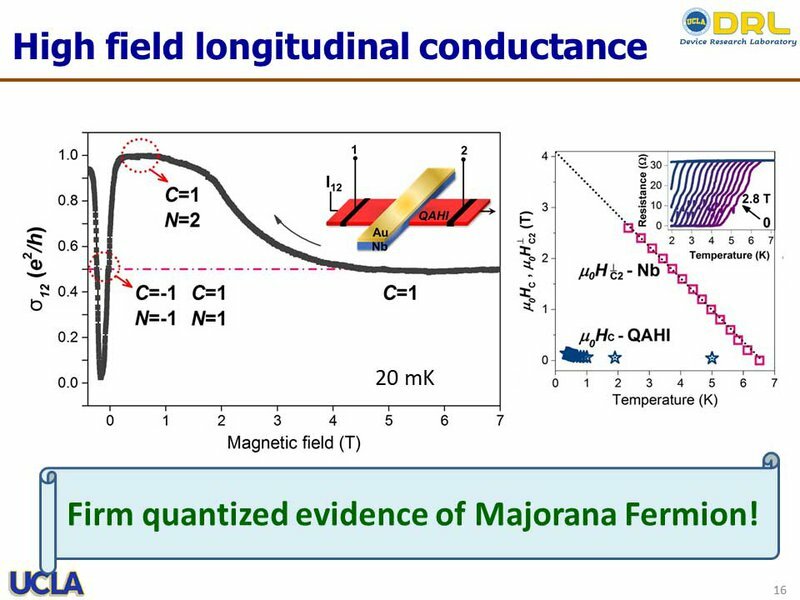 Now, you’d think this is good, but the problem that we all soon realized is that a zero-bias conductance peak cannot actually be used as strong proof of the existence of Majorana fermions. Why not? Well, while the zero-bias anomaly does indicate that there’s a possibility that you may have a Majorana fermion present at that point, there are a lot of other things that might give you that exact same peak. For example, what Eva Andrei was discussing earlier — the Kondo effect. That can create the same peak, and that has no Majorana fermions involved. 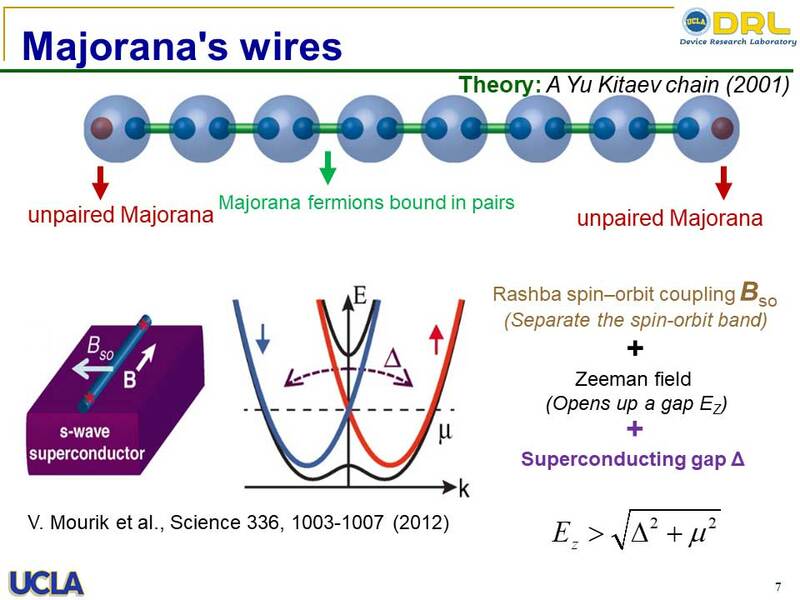 And so, the debate continues as to whether or not any of these experiments have actually found a Majorana Fermion! Me and my group sat down and thought this through. And we decided that we needed to make every step quantitative, quantized, and quantifiable. In physics and materials science, the things that are quantized are things that we know, for certain, are true. So we knew we needed to be quantized, and therefore, we must quantize everything. Every single part of the experiment! 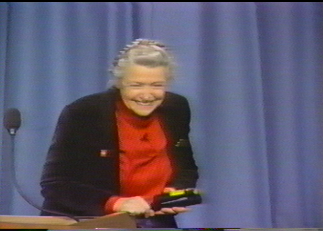 First, let’s look at the conductance. Well, we know quantized conductance already — it’s e²/h. Now, we need to quantize the wires. Mansour says that the quantum Hall effect has an edge state. That’s an ideal wire and, in fact, its dissipation would ideally be zero. But unfortunately, that kind of wire won’t work because to use it, you first need a high magnetic field. This is a problem because when the high magnetic field comes into your lab setup, you’ll quickly discover that the superconductor has now stopped being a conductor! Oops. Therefore, we chose to be Quantum Anomalous Hall, which means you have almost no applied field, and as a result, the superconductor will continue to work during our experiment — which is precisely what we're looking for. In that sense, I have one electron through here. For example, in this case — your simple case — shown here, electrons can be here. Some are split into a pair of Majorana Fermions. And, of course, I’ve caught another electron pair coming out. But the question is, as always, how can I measure them? 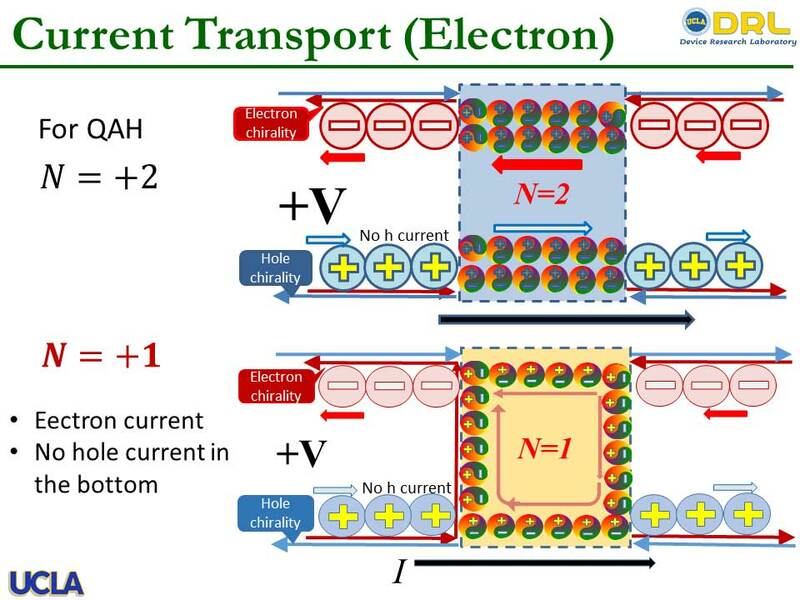 If I measure the transport system with a pair of Majorana fermions from here to there, it just likes one electron transport, which means I couldn’t tell if there’s a single Majorana fermion. So, how can we tell that there’s a Majorana fermion there? Well, we thought this over and came to the conclusion that we have to separate the particle and antiparticle that make up the Majorana pair. That way, we can detect one or the other based on the charge emitted. But how do we separate them? We want to make sure it’s all quantized, first of all — that’s the reason we picked the Quantum Anomalous Hall. 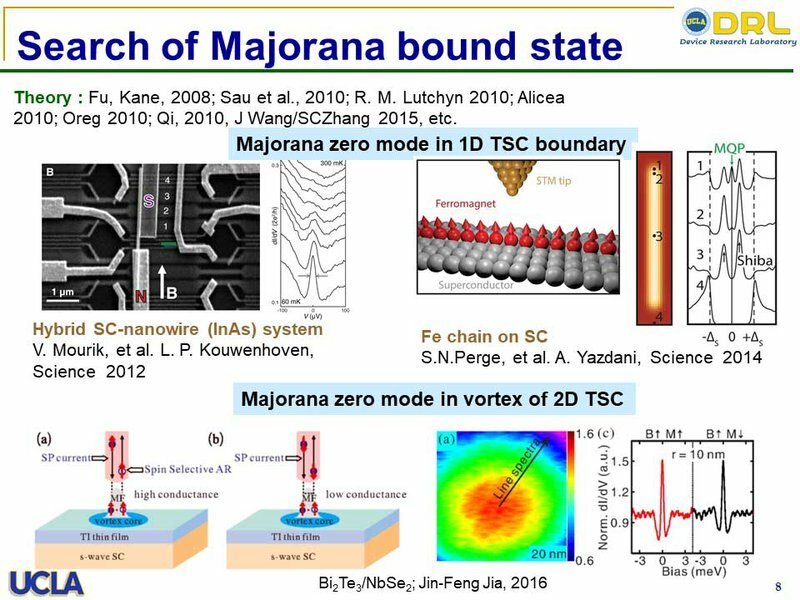 This is where Nai-Chang’s talk of topology comes in, because if we can manipulate the topology, we may be able to manipulate the Majorana fermion — thus separating the pairing and allowing us to detect it! 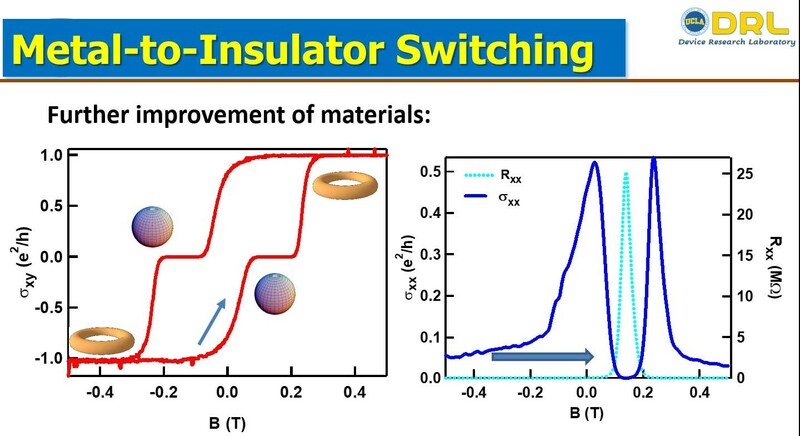 As it turns out, this work all falls directly in line with one of our other research projects, in which we were looking at ways to decrease energy dissipation in electron transport, in order to help the semiconductor industry. The semiconductor industry suffers a huge amount of energy loss through energy dissipation — that’s the reason the battery in your cell phone keeps dying and no one can come up with a better one. So we were looking for that. And one way of achieving that is to use a quantum Hall. In quantum Hall, we know the edge states are dissipationless. So that’s helpful. The question is: can we do that without a magnetic field? Because, remember, if we use a magnetic field in our Majorana experiment, our superconductor stops being a superconductor. So can we do this? Well, the answer is… yes! It can be done! How? Well, instead of a magnetic field, we could use a specially created material that has the properties of a magnetic semiconductor (a doped magnetic semiconductor, to be exact). That way it’s the material that’s magnetic, and we don’t have to introduce any magnetic fields! 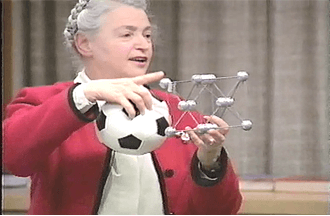 We can achieve this by borrowing from Millie — who did a lot of research into the chrome doped bismuth telluride. Thank you, Millie, we’ll use that and build on that research. But before we use this, we must first see if we can quantify it! Because, remember, we need everything to be quantized. How do we quantize any of this? 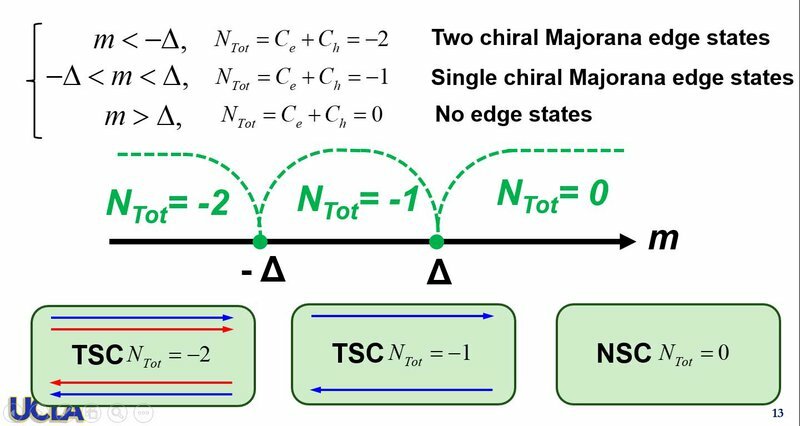 Well, the quantum Hall effect is, ultimately, a topological issue with a chain number of 1 (Nai-Chang mentioned something about this in her talk). 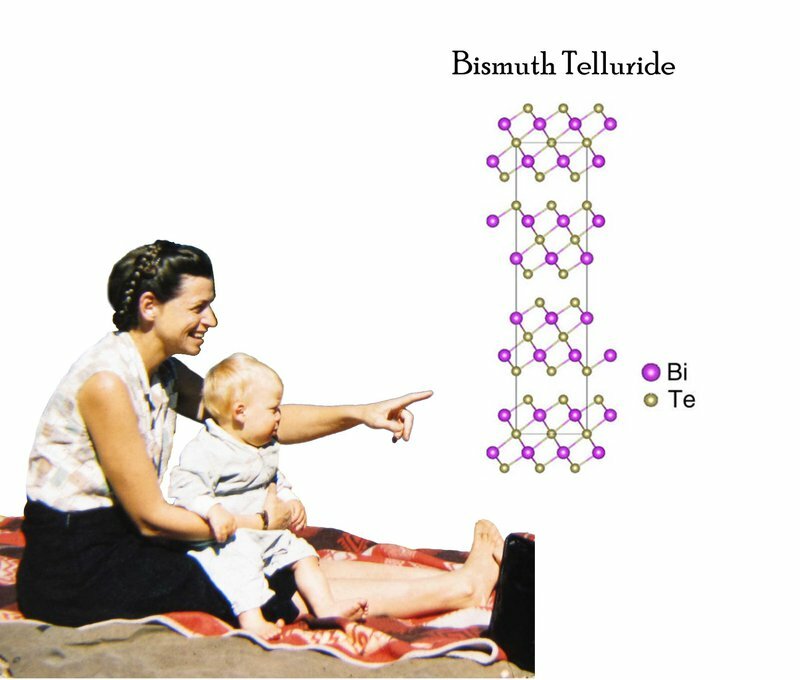 Now, let’s look at the topology of the chrome doped bismuth telluride and see what the chain number is there? Turns out, it’s also 1. 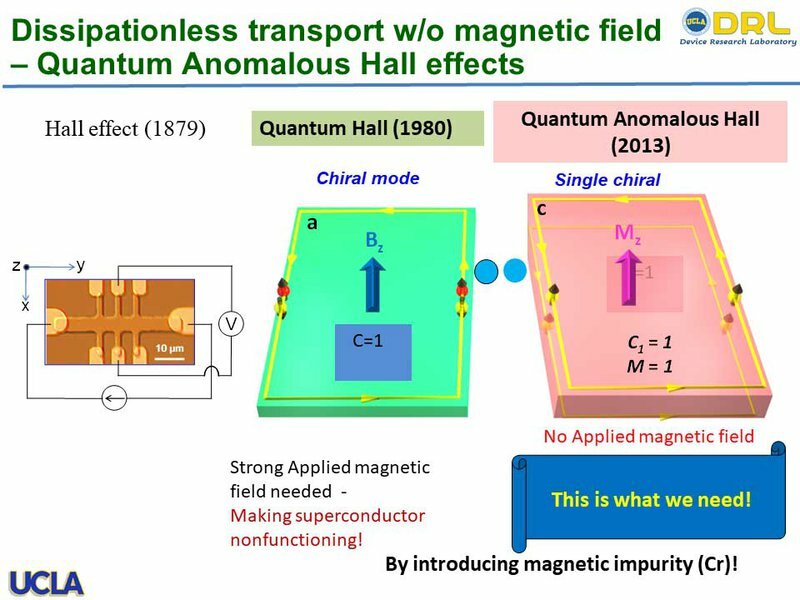 Okay, so this a good way to prove, definitively, that we have the exact quantum Hall effect we need, in spite of not having a magnetic field. Now, thanks to decades of materials research, we already know how to control the Fermi level directly in the chrome doped bismuth telluride, which means we can make sure it’s right smack in the middle of the gap opening. So you can see the Dirac cone opening, you can see the gap — and we put Fermi level right in the middle of the gap, so that (if you didn’t do anything) it would be an insulator. We call that a ‘topological insulator.’ But, of course, we aren’t going to keep it as an insulator — we’re going to introduce new properties with chromium doping. And we have, indeed, achieved that! Checkelsky also achieved it. Many people have achieved it. This is bismuth telluride. Bismuth telluride is a Van der Waals material — and you can see the Van der Waals gaps, over here, with a high resolution TEM. It has 5 layers, so it’s called “quintuple layered”, and I’ve labeled where the quintuple layer of bismuth telluride is, inside that structure. Now it’s up to our group to take this process of doping to put the Fermi level in the middle of the gap, and quantize it. So h/e² is resistance. e²/h, on the other hand, will be a conductance. Notice where the blue arrow is pointing in the slide above? Right there, at that point, you will always see a quantized value without a magnetic field applied. We are only applying the magnetic field to probe its properties. In a zero field, they’re all quantized depending on the direction in which you scan. In fact, the resistance — Rₓₓ — is zero. So it’s exactly like a quantum Hall effect (and I believe Mansour mentioned something about that). So we’ll show that is the case. Now this device is millimeter sized, and it really works. It’s also chiral; chiral meaning, in this case, that the magnetic moment goes up in only one direction. Then you have the transport in this direction reverse magnetic moment, the transport goes counterclockwise. So that’s the chiral element. Many people have used a similar approach, before, when looking for Majorana fermions. But to do it right, without applying any gate voltage — that is the most important thing! I should mention that when we do this scan, the band structure of this bismuth telluride changes its topological form. The Chern number = 1, meaning that the structure is a hole. So the sphere has one hole (=1), and if we get -1, that just means the hole is moving in the opposite direction, but it’s still a hole. Of course, when it equals zero, that means there’s no more magnetic moments, anymore, since up and down cancel. So it does make sense, in that case, why it should be zero. In essence, this should be a sphere, here, in that topological structure. So we’ve got this structure, and you can see there’s almost zero field. That’s good. That means we can do the experiment — because the superconductor will remain intact. If I transform the resistivity to conductance, then you see that it becomes e²/h, rather than h/e². There should be no holes, topology-wise. So this structure is going this way, and then I look at the dark one, which is σₓₓ — that means there’s no conductance between 0.1 T and 0.2 T . That is exactly what we’re looking for. 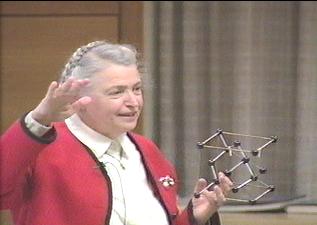 And I should mention that in the simple topological model, topology can be controlled by the magnetic field, I can scan this magnetic field along this direction and achieve the topological number — for example, from -1 to 0. And, of course, in that sense, it eventually moves to 1. Now, if I place this Quantum Anomalous wire on top of the superconductor, then the two will interact via pairing energy. That energy splits the space, which makes the fermion twice as big. Basically, the electrons create holes, and those holes have similar topology to the electrons. The two superimpose. Remember, this is all in a very low field. So what happens then? Well, if I had only electrons, I’d expect to find that in an applied magnetic field, if delta is 0 then the two phase transition points for electrons and holes collapse. There will be electrons to make through the superconducting regime together with the holes. But now, since we’ve been pounding the particle with energies to separate them and break the spin symmetry, as we mentioned earlier, we change the space in between the particles into Nambu space, which means it’s twice as large. So taking -1 and subtracting 1, we get -2. In the middle, we have -1 and 0, so we are left with -1. After -1, we simply get 0. So now we split them into single Majorana particles in the test center, here, by using the interaction pairing energy with Dirac electrons. In Majorana space, the topology will =1. That means there is exactly one Majorana state. And what are we looking for? One Majorana particle. So if we get topology = 1, that means we found it! If the topology = 0, that would mean we wouldn’t see be able to see the Majorana particle. That doesn’t mean it isn’t there, we just can’t see it. In that case, we could always adjust the magnetic field, change the topology, and therefore, see the Majorana fermion. In terms of giving you a semiclassical picture, I see that, because of magnetic moments, electrons will have this chirality in red. Holes will have a chirality in blue — backward — because they have a negative pass-through charge. Now, if N = 2, that means it’s a pair, like what you’ve seen before. Then the electron goes through, and it goes through the superconducting region just like a 1 electron transport. Right? Now, it’s just enough of a magnetic field so that this will open the pair into single particle — so your transport would be going exactly right on top, here. Of course, using this electron-hole picture for individual particles probably isn’t right. We’re talking so small, in that case, that you can’t really pinpoint anything definitely — in reality, probabilistically, the electron and hole are all mixed up. This is what exactly Majorana Fermion is — an electron-hole, all mixed up together, forming a pair. So in that sense, when you split this into half a pair, you have to multiply all the elements of your quantized experiment by ½. So we take our quantized conductance measurement and divide it by two. And so on and so forth, through all the other elements. Now compare this to the regular Quantum Anomalous Hall situation. You can see that this is just a derivative of that. The picture I provided shows how the topology changes, throughout this, by the way. Okay. Evelyn told me it’s time to stop — and when she says something, I listen. I have no choice! So I’ll stop here. I’ll just quickly say one thing about the last slide. People often ask, "Well, if you break this superconductor into a regular conductor, it should be ½, too. Shouldn’t it?" Indeed, if I increase the magnetic field, the critical field for superconductors is a few Tesla. 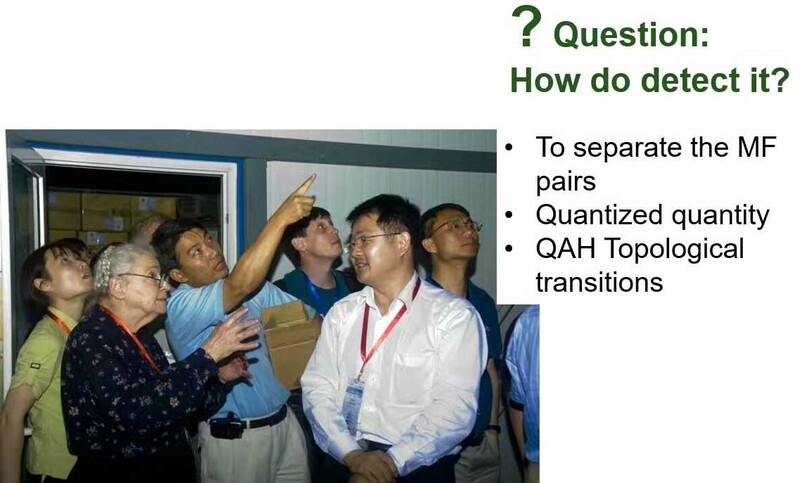 So when I bring up the high field, I’ve killed the superconductor and I do, indeed, get half of this quantization. But if you bring the field down a lot, this is exactly what we see to show the presence of Majorana fermion. The expansion of that is what I showed you, a moment ago. And I just wanted to show you — we used a very low field, here. It’s much below this so-called critical field of superconductor on Niobium. To conclude, we believe we have the first firm evidence of Majorana fermion, after 80 years of this whole saga of trying to find it. And we believe this discovery will have important implications in the knowledge and lives of human beings. For example, we live in a universe full of matter now, but the Big Bang created both matter and antimatter — so what happened to all the antimatter? Where did it go? Perhaps the Majorana fermion can go some ways towards explaining that. And second, of course, the discovery of the Majorana fermion can be used to construct a topological quantum computer that will be topologically stable because — you can think of a Majorana fermion as being woven, just in the same way you weave your scarf. Right? In physics, we call that ‘braiding’, and it causes the formation of a far more robust quantum computing platform for computation in the future. So this is a very important implication. 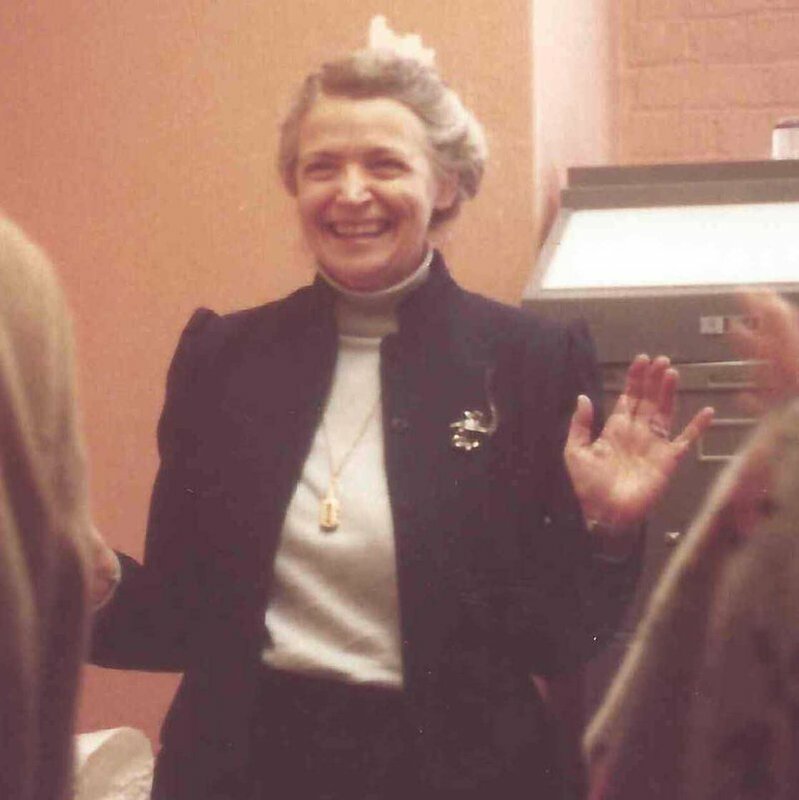 To wrap up this talk, I’d just like to say that Millie was my mentor since day one — even though we did not really collaborate until about 10 years after that. And if you want to hear more about how Millie and Gang and I teamed up on the MURI in thermoelectrics, I’ll hyperlink you to what Gang said yesterday. 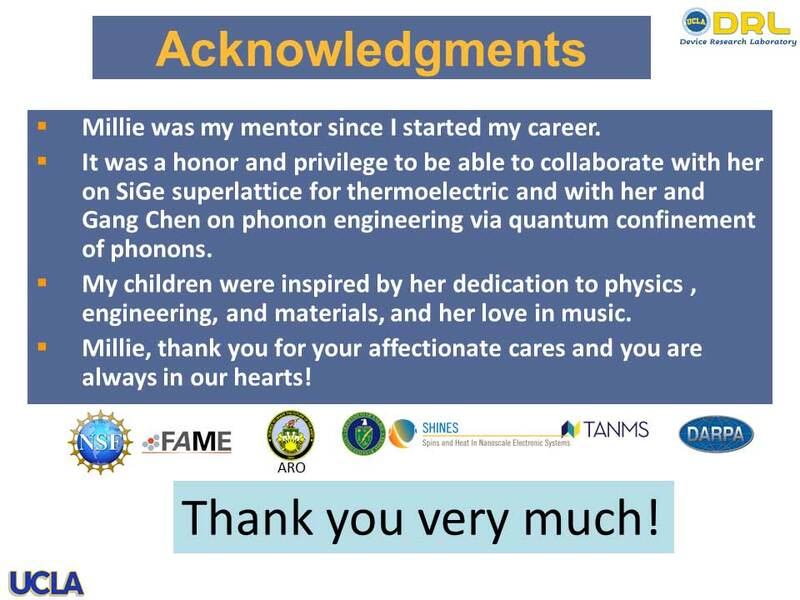 My children and whole family were inspired by Millie’s dedication to physics, engineering, and materials — and, in particularly, to her love of music! Without music, nothing would happen. So, Millie, we thank you for all your affection and your care, and we want you to know that you are always in our hearts.